My805Tix | NTMA Ernie Ball Music Man Guitar Giveaway! NTMA Ernie Ball Music Man Guitar Giveaway! Win an Ernie Ball Music Man Guitar! Support local music. Purchase one raffle ticket for $10, or 3 raffle tickets for $25. 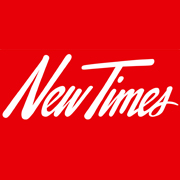 The 10th Annual New Times Music Awards is coming to the Fremont Theater on Friday, November 2nd 2018. 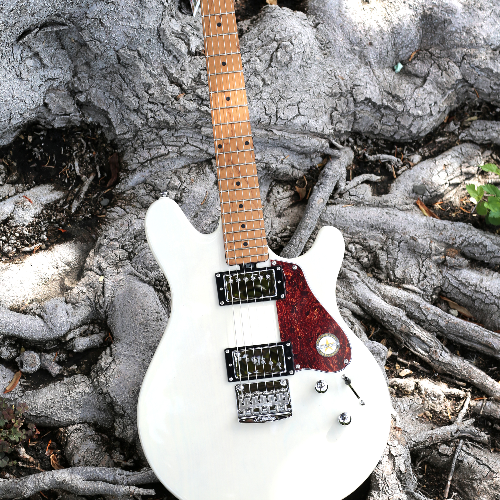 Support local music by entering our Ernie Ball Music Man Guitar raffle! Only 250 raffle tickets will be sold. About the guitar: The Ernie Ball Music Man James Valentine "Valentine" guitar features a slab ash body, two Ernie Ball Music Man designed pickups (1-humbucker/1-single coil), with 3-way custom wired lever switch, coil tap, modern hardtail bridge with vintage bent steel saddles, 25.5-inch scale, oil and wax rubbed roasted maple neck with 10-inch radius maple fingerboard, 22 stainless steel frets, oversized 4-over-2 headstock and compensated nut, designed for superior tuning stability. New Times Music awards are coming up! Here’s the scoop: Tickets are available for $10 each at the New Times office at 1010 Marsh Street, SLO, at the Sun's office at 2540 Skyway Dr. Ste. A, Santa Maria, or online at My805Tix.com. Admission is free for active military and veterans.